​​​​​​​​​​​​​​​​​​Many organizations are facing changes as IT no longer solely supports the business but in some extent becomes the business. DevOps is a cultural and professional movement that aims at unifying development and operation. DevOps aims to help organizations introducing high quality services on a frequent basis. 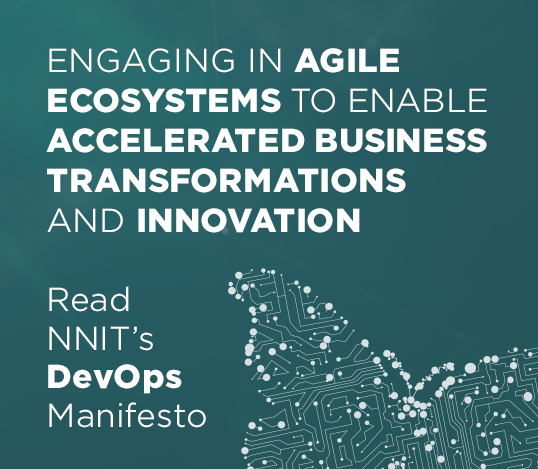 It helps organizations become agile and create speed that supports the business needs by transforming the way you develop and deliver services. Watch our video and get an overview how to implement DevOps. ​Watch our webinar Continuous DevOps transformation to get an introduction to DevOps, how to get started and tips on how to add value from the start.